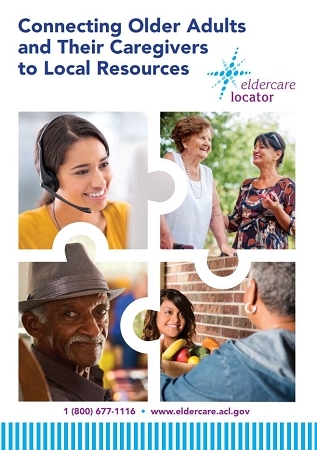 This brochure provides general information about the Eldercare Locator and home and community-based services. Click Here to view a larger image of the brochure and its contents. Copyright Eldercare Locator. All Rights Reserved. eCommerce Software by 3dcart.